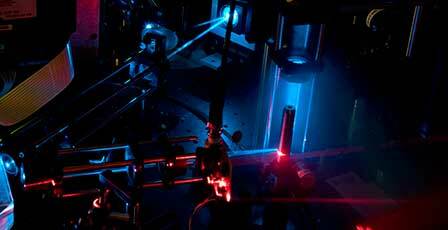 Using and understanding light and its effects to improve health and advance medical science. Wellman’s multi-disciplinary faculty focuses on investigating the effects of light on human biology and discovering new diagnostic and therapeutic uses of light. Laser & Aesthetic Skin Therapy: What's the Truth? Wellman’s multi-disciplinary faculty focuses on investigating the effects of light on human biology and discovering new diagnostic and therapeutic uses of light. The integration of biological, physical, and clinical scientists within a premier academic medical center accounts for the Center's success in translating research into real world medical solutions and in training the next generation of scientists. Marking the 10th Anniversary of the Vietnam Vascular Anomalies Center (VAC), a delegation of staff from the Wellman Center, including Dr. Rox Anderson, Vietnam VAC co-founder Dr. Thanh-Nga Tran, Clinical Research Coordinator Liz Morehouse, and Laurie Watson, RN traveled to Saigon, Vietnam in January 2019 to continue an international effort to provide state of the art care to children in Vietnam with disfiguring birthmarks. Joining members of the Wellman Center were over 20 physicians, students and volunteers from throughout the US, Switzerland, China and Pakistan. Dr. Lilit Garibyan and Dr. Rox Anderson from the Wellman Center for Photomedicine will be traveling to Yerevan, Armenia again in May of 2019. 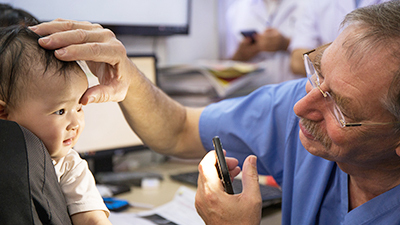 This trip will continue the humanitarian mission started in 2013 to treat patients for non-invasive, laser-based treatment of scars, vascular anomalies and pigmented lesions, as well as train Armenian physicans with laser use. We are grateful for the lasers donated by Candela and Quanta. One of five Thematic Research Centers at the Massachusetts General Hospital, a teaching laboratory for the Harvard Medical School and an educational and training affiliate of the Health Sciences and Technology program at MIT.